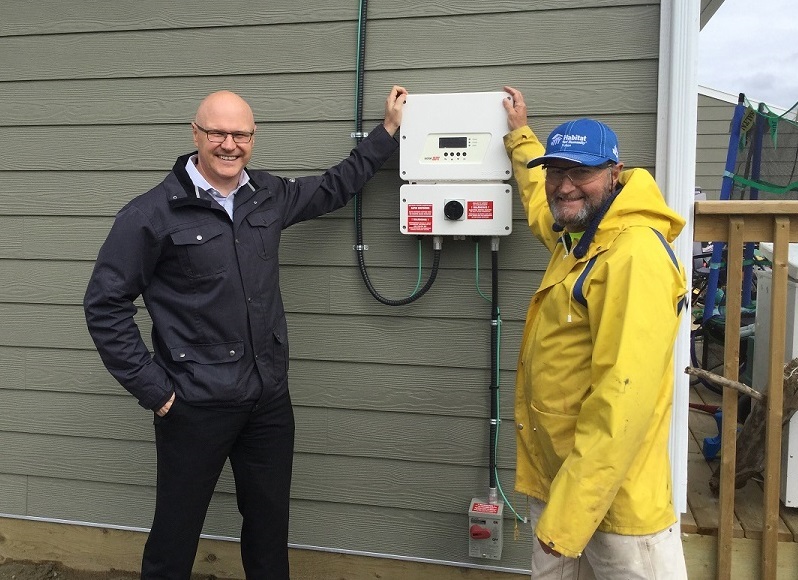 During the Carter Work Project Week, Mr. Andrew Hall, President and CEO of Yukon Energy Corporation (YEC), came to see the new affordable homes at 77 and 79 Iskoot Cres. Yukon Energy had donated $5,000 towards the solar panels that were installed on these homes as well as providing LED light bulbs. Thanks YEC for your generous donations.